A DVR camera security system or digital video recorder camera security system is a practical answer for providing recorded digital video monitoring for business and residential applications alike. These systems are economical and versatile and can include a great deal of advanced features for special applications as well. A DVR camera security system is a component system much like a component stereo or home theater system in that each of the components can vary to fit individual needs. 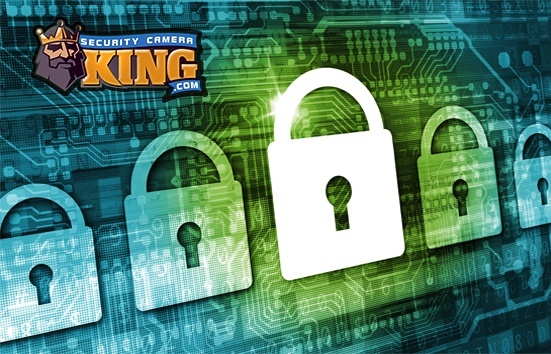 Yet, the components work collectively to provide high quality security and surveillance monitoring and recording. A basic DVR camera security system consists of one to several digital video cameras, a processor or capture board that also utilizes special programming or circuitry to make the digital video file easier to handle, a monitor for viewing live or recorded video, and a digital video recorder for storing the digital video files for viewing at a later time or for archival purposes. All of these cameras can produce high quality, high resolution color digital video. Some cameras can be ordered with specially designed programming. For example, a typical PTZ camera when used with specialized motion detection programming can be used to track moving objects such as people or slow moving vehicles. The digital video cameras of a DVR camera security system usually use one of two different electronic sensors called a Charged Coupled Device or CCD or a Complimentary Metal Oxide Semiconductor or CMOS to create the digital video. The CCD or CMOS works by converting light energy or photons into electrical charges that can be used to create digital video images. The electrical information created by the electronic sensor is sent to a processor that transforms it into a digital video file. On a typical DVR camera security system, the processor and DVR are contained within the same unit, much like a personal computer. The processor may contain a capture board, a separate integrated circuit board that processes the video images easing the burden on the processor so that it can work on storing, camera control, and other activities. A digital video file is basically the same as a digital photograph file; except a digital video contains several photographs or frames per second (fps). Smooth, fluid video is normally produced at about 30 frames per second. In other words 30 digital photographs are taken per second. The digital file can become incredibly large in a relatively short time period at this frame rate. 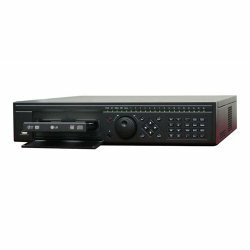 Therefore, to make the digital video files of a DVR camera security system smaller and easier to handle while maintaining a high quality image, a CODEC is normally used. A CODEC is an abbreviation for COmpression/DECompression and is either provided by programming software or “hard wired” into the circuitry of the capture board or processor. The CODEC makes it possible for the processor to store much longer time periods of video on the DVR and to display several digital videos on the monitor at one time. The monitors used on modern DVR camera security systems are usually LCD monitors like the monitors used with contemporary personal computer systems. The monitors normally connect to the DVR/processor and can be used to display the images that are currently being created by the digital video cameras or to display the digital video files that were recorded earlier. DVRs are digital magnetic storage disks similar to the hard disk drives of personal computers. Storage capacities range from several gigabytes to terabytes. A DVR camera security system offers the ability to provide high quality digital video for security and monitoring applications while storing the video files. The added benefit of these systems is that they are usually “stand-alone” systems that can be used just about anywhere.